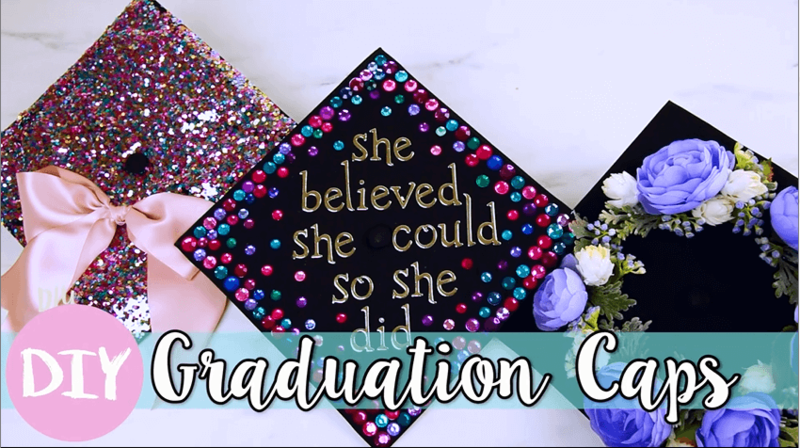 Make your graduation even more memorable with a personalized cap! You will stand out from the crowd with an eye-popping DIY design. 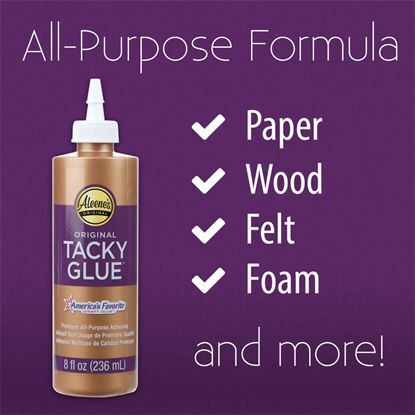 Aleene's Tacky Glue will keep your poppin' bling in place. Make one for yourself or get together with friends to make matching ones. 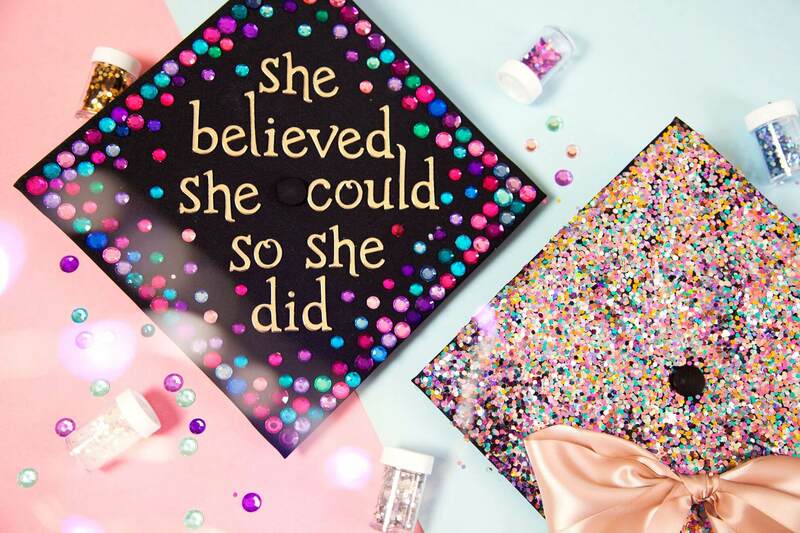 These fun caps will made your graduation day extra special! 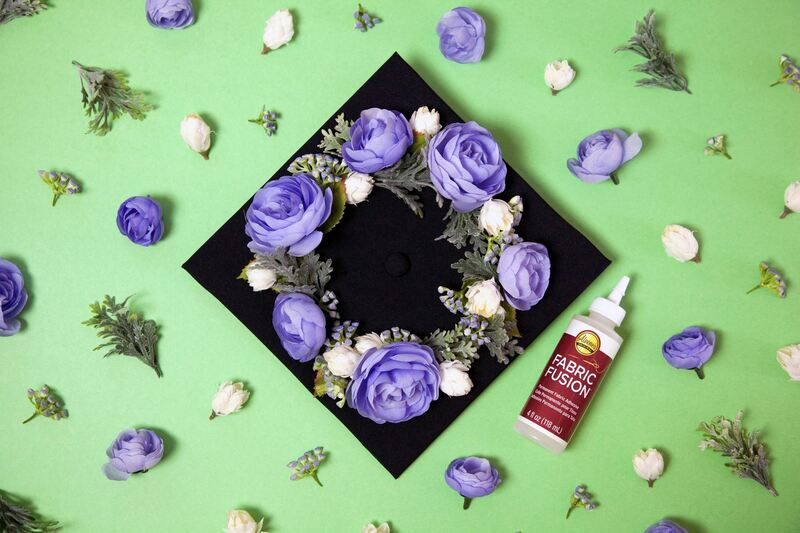 Apply a generous amount of Aleene's Tacky glue to the cap. Spread it out with a paint brush to cover it completely. 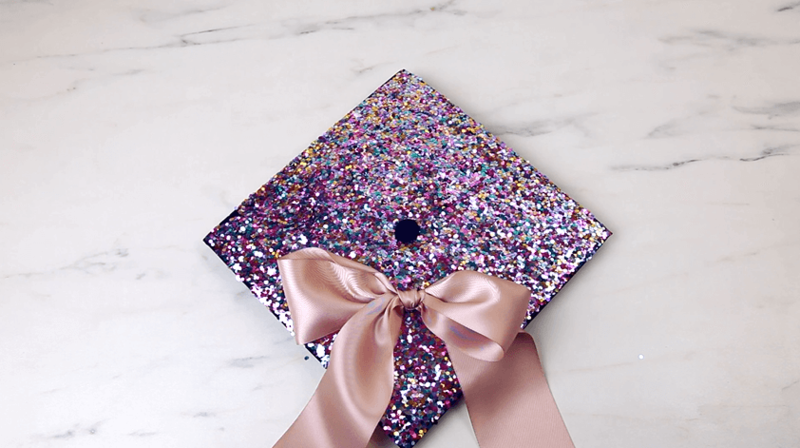 Sprinkle glitter over the entire cap. Wait until dry. Shake off the excess glitter and touch-up empty spots if needed. Use Tacky Glue to add a large ribbon bow. Clip the faux flowers and leaves into individual pieces or small groupings. Arrange the flowers in the design you want. 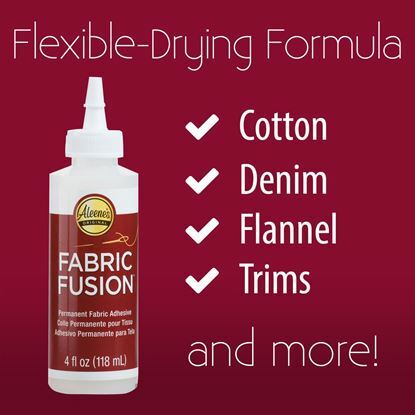 Use Aleene's Fabric Fusion to glue the flowers and leaves. Use Aleene's Tacky Glue for any plastic stem parts. Arrange the letters on the cap and make small marks with a white pencil to reference where to glue them. Glue the letters with Aleene's Tacky Glue. Glue on rhinestones with Aleene's Tacky Glue. Abbe is a one-woman craft tutorial machine. 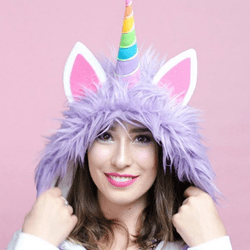 Her MakeMeCrafty videos have been viewed by millions of people around the world. When she’s not covered in craft glitter, she’s singing Broadway show tunes or exploring her current home base of Los Angeles.